The Liberal Chamber of Commerce hosted a candidat s forum on Monday night for the Seward County Commission candidates at the city commission chambers. There were seven candidates who participated. There were many issues discussed including economic development, the county administrator position, the county commission receiving health insurance, the fair budget, and the activity center policy on charging groups who use it. All of the candidates felt that in order to have good economic development that the county needs to continue working with the city. Incumbent Commissioner Steve ‘Ike’ Eisenhauer said a way to improve it is to provide an environment where businesses want to come here. He added that tax abatement is a controversial issue and is something to be looked at when bringing businesses in. When it came to the topic of the candidates opinion on having a county administrator all of the candidates agreed that it was a good position to have. Incumbent Joyce Hibler and Toby Hale were very strongly in support. Hibler said she truly believes the county needs an administrator. Hale agreed and said the county is better off having Mary Bloomer and that she is a very good lady. The topic on if a commissioner should receive the same health insurance benefits as full-time county employees drew a split reaction from the candidates. Ada Linenbroker said if elected she already has her own insurance and would t need it. Hale also said he uses his own already and not the count s insurance. Randy Malin, Gary Hittle, and Doug La Freniere all were against commissioners getting the benefit citing that they are just part-time. However, Hibler and Eisenhauer felt that they should receive it. Eisenhauer added that he feels like he deserves his. The topic of if the county should maintain the fair was also discussed with all the candidates except La Freniere in full support of it. La Freniere did t speak against it and even said positive things about his experiences growing up and going, but he did add that it would be the commission as a whol s decision and not just his decision if elected. Last year the county commission denied a waiver of the building rental fee for use of the Activity Center to a group who put on a benefit dinner for a woman dying of cancer. This along with the count s policy on charging came up. Malin and Hittle feel that non-profit groups should have the fee waived. Linenbroker agrees as long as the group is t making money. Eisenhauer, Hale, and Hibler all feel like the current policy in place is a good policy. La Freniere feels like there should be a policy, but that there sometimes has to be the ability for wiggle room as human beings when there is a case like the woman dying with cancer. In closing remarks Malin said it is important to have the trust of the people. He added that he would watch over the county budget and put forth the very best effort of doing that. Eisenhauer said he has enjoyed his time on the commission and that h d like to see the hospital project through. He also said h d appreciate serving another four year term. Hale added that looking back that things have been successful in many areas. He said the mill levy has been the third lowest in state of Kansas and that h ll do his best to keep it low. He said to not expect any major building projects in the near future, but that he will always fight for jobs. He added that he is t running against La Freniere but that he is running on his own record. La Frenier s closing remarks stressed his goal in wanting to fire off letters as a commission to KDOT about what he calls their unacceptable plans and policies. He added that people are dying on (Highway) 54 and that the commission should take this task. Linenbroker closed by saying that she would really like to see Liberal turn into one of those special places where people want to come and stay. Hittle said that since he first started this (the campaign) that he has learned a lot and that he encourages everyone to get involved in community. He added that if elected h ll be the people ears. Hibler thanked everyone for coming and stressed the importance of exercising your right to vote and encouraged everyone to vote. The primary election will take place on August 3. Eisenhauer, Hittle, La Freniere, Linenbroker, and Malin are Republicans. So Eisenhauer and Malin will face off, while Hittle and Linenbroker go head-to-head. La Freniere is unopposed in the primary but will take on Democrat Toby Hale (who is also unopposed in the primary) in the general election in November. 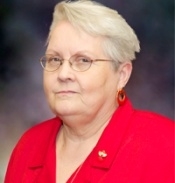 The other Democrat Joyce Hibler is unopposed in the primary and will face the winner of Linenbroker and Hittle in November.